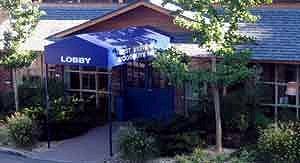 The Best Western Woodbury Inn offers all the modern conveniences expected from a luxury inn, yet at affordable rates. Service at the Best Western Woodbury Inn is friendly, prompt and courteous which compliments the charming country setting. All rooms are equipped with two telephones with dataports for Internet connection and customized voice mail. You will also enjoy in-room coffee/tea service, in-room pay-per-view movies, music videos and NintendoÆ system as well as access to our fitness center and outdoor pool. In the morning, our guests receive a complimentary deluxe continental breakfast along with a daily newspaper. Room upgrades are available to our executive floor where all of our newly built rooms come standard with refrigerators, microwaves and complimentary water. Staying for than a few days, try our studio suites and have the convenience of your very own kitchen and extra workspace. This and other Long Island Bed and Breakfast Inns can be found here online in The Register.